Coca-Cola run an electrical engineering apprenticeship scheme. Sarah has been commissioned to make awards to present to the young apprentices at the end of each year. 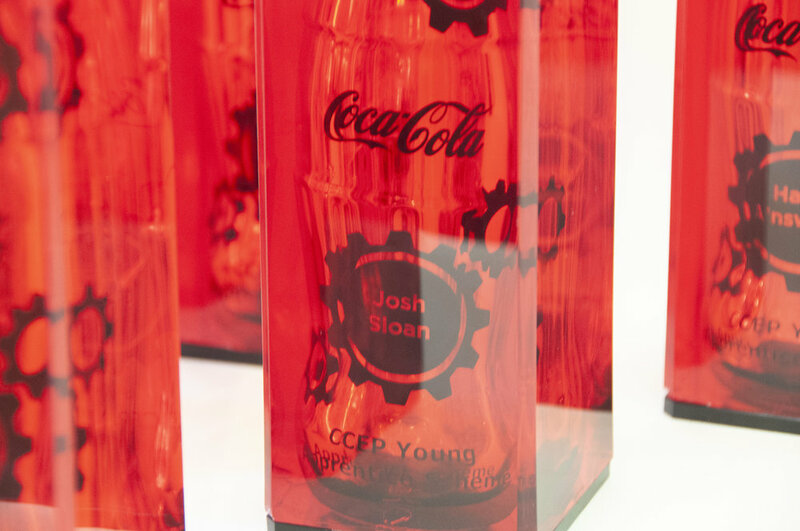 The 16 -20 years old electrical engineers each received an upcycled award made from a recycled glass Coca-Cola bottle which Sarah etched a pattern and their name onto. The hexagonal base is made from recycled PCB circuit boards. Each year’s trophy is unique, using different coloured circuit boards and text. 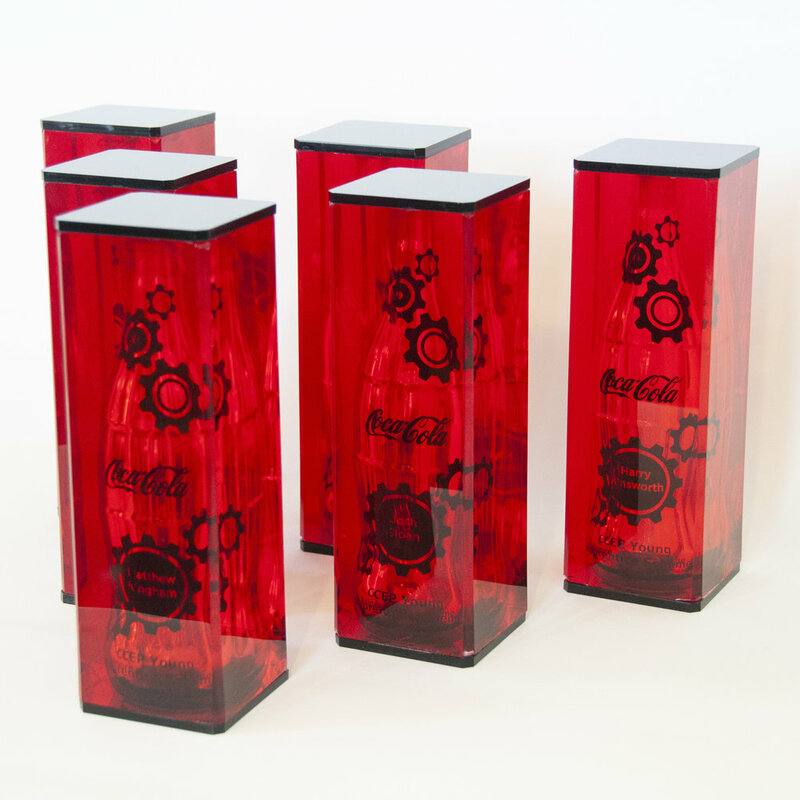 In the third year the bottles illuminate using LEDs and in the final year the bottles are encased in red resin. 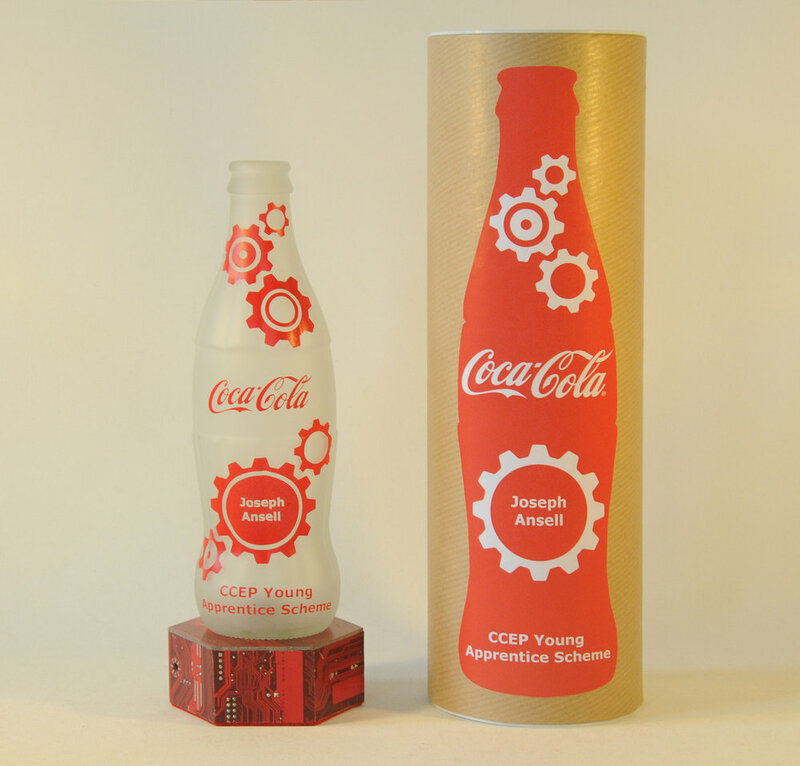 A winner is awarded with a large Apprentice Of The Year Award which is made from a vintage Coca-Cola bottle from the 1960s. 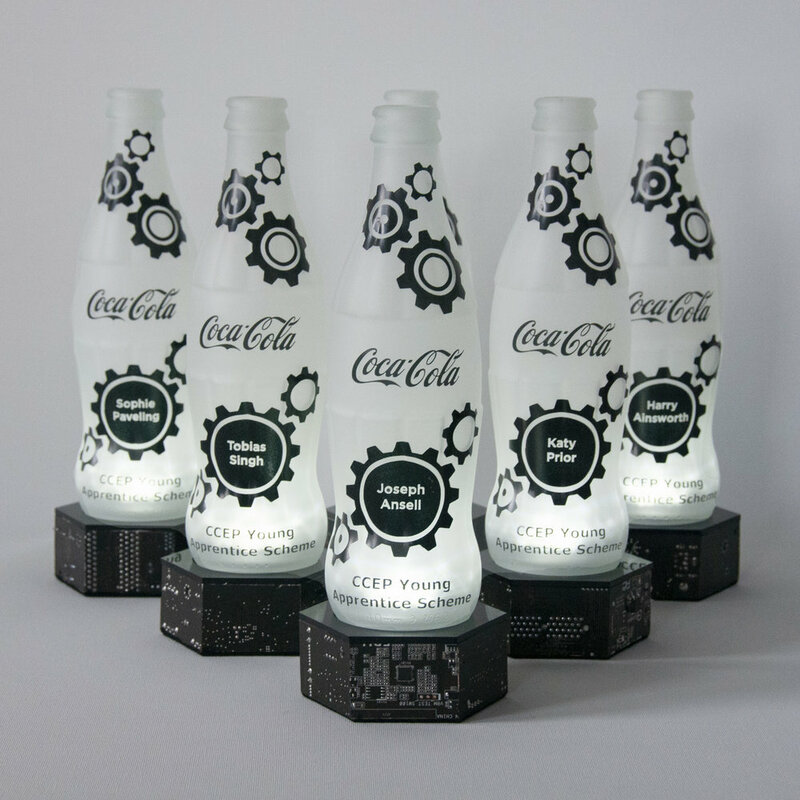 3rd Year Trophies - Black circuit boards, LEDs illuminate the glass Coca-Cola bottle.